Bokken (also known as bokuto) is a wooden practice sword used in the training of Kendo, a martial art originating from Japan. 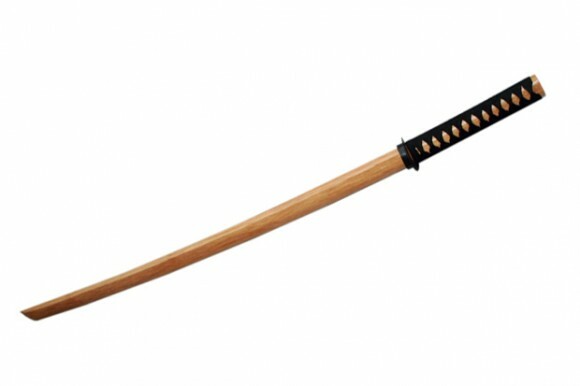 Bokken resembles a real katana sword visually and it’s used in Kendo and other martial arts practice in order for students to learn how to handle a sword safely. Bokuto isn’t used to fight however, as it’s not sturdy enough. For actual fighting the Shinai is used since it’s much more durable and flexible. There isn’t anything special you need to watch out for when buying a bokken. Typically their prices range from $10-$50 and you don’t need to go overboard and spend a lot of money on it. As mentioned bokken isn’t used for fighting so it doesn’t have to be especially high quality. The differences in prices are usually due to fittings, as some bokuto have them and some don’t. Most cheap bokken katana don’t have a tsuba (hand guard) and are made entirely of wood. Typically they also don’t come with a saya (scabbard). The says is not necessary for Kendo or Iaido practice and it’s just a decorative and protective item so you do not necessarily need to buy a bokken with one. If you’re looking to get yourself a bokken you can check out my selection below. 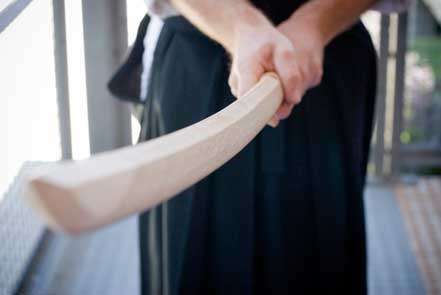 Even if you don’t intend to practice kendo, bokken can also be used as a display sword with a scabbard (saya).